Sebestyen is a veteran British journalist of Hungarian refugee origins, and his previous writings have also been on Soviet bloc history but more contemporary – not surprisingly a very good history of the 1956 Hungarian Uprising, an overview of the 1989 disintegration of the Soviet bloc, and most recently a volume on the 1946 division of Europe. 2017 has understandably seen a crop of weighty tomes looking at the Russian Revolution and its primary architect, Vladimir Ilych Lenin. VI’s definition of political principle was that whatever advantaged him at any given moment, served the “revolution” that only he understood. He appreciated flunkies who did what they were told, and could rarely control his rage over anyone who expressed a different view. His wife & sisters, and his amour Inessa Armand, gave him a domestic safety blanket he needed while plotting his factional moves, and his enjoyment of the company of women and children seems to have been completely sincere. His greatest moment was 1917, when he junked classical Marxism and cobbled together a justification for a coup d’etat. He started with a minority within his own party but browbeat the majority into line. The Right Social Revolutionaries could have squashed him in 1917, and the Left Social Revolutionaries the same in 1918 – but they weren’t hungry for power like he was. The Right’s insane continuation of the war gave Lenin instant street credibility, and crucially it gave him a sympathetic ear amongst a lot of soldiers with guns who wanted to go home. Lenin hated the Russian peasant but knew enough to make the right promises. He hated the NEP compromise and would, without doubt, have led the way towards the collectivization policy Stalin began in 1929. In different ways, Stalin and Trotsky were both legitimate heirs of Lenin – he genuinely expected revolution throughout Europe (and admired Mussolini’s style but regretted his loss to the movement). Whether he would have reacted like Stalin to the failure of world revolution, who knows. This is a thoroughly engaging 500 page bio, an easy-to-read page turner – highly political but with more than enough human interest to make it a very suitable gift for someone who is vaguely political without being fanatical. 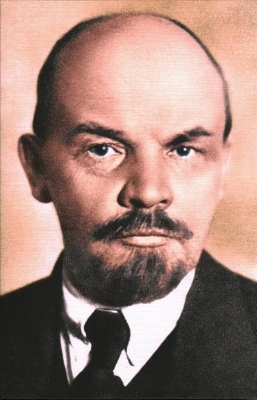 Which is more than can be said for the object of the profile – Lenin is someone not unlikeable, with a sharp sense of humour and an affection for kittens – but also someone pathologically single-minded, intolerant of anyone else’s changeability but wholeheartedly opportunist himself. The tiny political grouplets who still worship Lenin and the Leninist party have to accept that historical circumstances can be close to unique – Petrograd 1917 does not happen every day. But the still-relevant lesson from Lenin is that even one committed individual can change the course of history in a disintegrating chaotic society. It is safe to say that the Russian Revolution would not have happened if Lenin (and probably Trotsky) had somehow been waylaid before October-November that year. *The opinions expressed in this review are those of the author and not of NIBS as an organisation although of course we agree to publish it.